What are hidden currency exchange fees? What do we use for international transfers? TransferWise is a relatively new transfer company that is funded by Sir Richard Branson in the UK and has been taking the world by storm. Most services have a hidden currency conversion fee; however, TransferWise has a fixed declared fee that is usually between 0.5-1% of the transfer. The hidden currency fee varies a lot for each currency pair, so this is really a rough estimate. Also note, several of the services listed above do declare the fee, so it’s not exactly a hidden fee. However, even for services that do declare the fee, it is not always easy to find or understand. There are many more options that are available for specific currency pairs and are not listed above. Five free transfers with CurrencyFair. You can see this on a site like Bloomberg. The difference between these two rates is 1.2%. So, in this case, Western Union is taking a 1.2% hidden currency conversion rate fee on this currency pair. Unfortunately, this makes it very difficult to compare currency conversion services because they do not declare the hidden fee in most cases. With TransferWise, you make a local bank transfer to TransferWise, they exchange currencies, then they make a local transfer to the recipient on the other side. This means, for example, that you cannot pay with your credit card for the service. Why not? If you pay via credit card, it costs at least 1% in fees, a fee that TransferWise is going to have to pass on to you. This service is trying to reduce the fees as much as possible so charging you for Credit Card fees would increase the rate of the service. Euro, Pounds Sterling, US dollars, Australian dollars, Swiss Franc, Canadian Dollars, Polish Zlaty, Swedish Krona, Norwegian Krone, Danish Krone, Hungarian Florint, Czech Koruna, Bulgarian Lev, Romanian Leu, New Zealand Dollars, Japanese Yen, Brazilian Real, Singapore Dollars. Indian Rupee, Hong Kong Dollars, Malaysian Ringgit, Philippine Peso, Pakistani Rupee, Moroccan Dirham, Thai Baht, Emirati Dirham, Ukrainian Hryvna, Indonesian Rupiah, Colombian Peso, Georgian Lari, Turkish Lira, Mexican Peso, and South African Rand. What do we use in our company for international transfers? 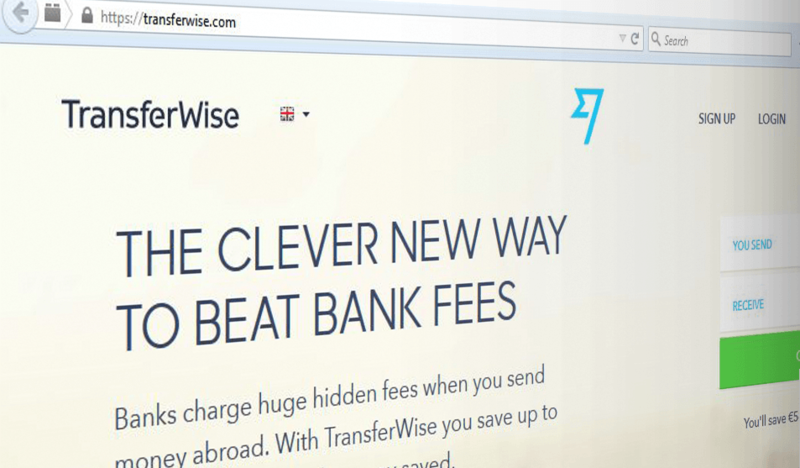 TransferWise – yes, we use TransferWise also in-house because we find it one of the lowest cost methods available. Their system is based on local bank account transfers, which makes transfers abroad cheaper than what banks or other providers charge. They charge a small upfront fee between 0.5% and 2% for transactions, depending on the route. Payoneer – this is the most convenient method we have for sending and receiving to multiple countries. This service also offers users the ability to withdraw money on a debit card at an ATM. This is very different from the way that TransferWise works where the recipient must receive money via their local bank account. In my view the best alternatives are missing in that list: I would add Revolut where you pay 0 fees and also has a payment card (or an fixed annual fee if you need larger transactions), as well as Interactive Brokers, a trading site allowing currency conversion for 0 fees too. Another 0 fee alternative is Lykke. And lastly, if you want a real bank (with a deposit protection), you can open a current account with Lloyds International (Jersey banking licence) which I believe also offers spot rates without additional fees on major currencies, or Dukascopy Bank (has a Swiss and a European banking licence) which has a digressive fee schedule. However, for most of these services you need to have two bank accounts in your name denominated source and target currency. Hey - just so you know TransferWise do have a debit card/account available for recipients. I store about 5 currencies on mine that I can withdraw cost-free at any time.